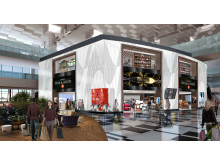 May 14, 2014, Singapore – DFS Group and Changi Airport Group (CAG), today revealed plans for its game changing transformation for Singapore Changi Airport’s Liquor & Tobacco (L&T) core duty-free concessions across its four terminals. Spanning 85,350 sqf (aprox. 7,900 sqm) of space, the cutting-edge concept will elevate the passenger experience, and reinforce Changi’s position as the world’s best airport. At a joint press briefing today, DFS and CAG highlighted an ambitious concept that includes an innovative, never before seen, duplex store design that will house one of the world’s most extensive, curated selection of Liquor and Tobacco in any airport worldwide. This is part of CAG’s long term goal to dramatically transform Changi Airport’s retail landscape and redefine the airport experience through developing a state-of-the-art space that will delight the airport traveller. With an extensive product offering and forward-thinking design concept, DFS and CAG aspires to create the best retail experience with “First in Class” stores through innovative ideas that have never been tried, on or off an airport. Together, DFS and CAG will continue to anticipate the changing needs of the travellers, with the aim to make every customer experience stimulating, adventurous and delightful. In partnership with the Raffles Hotel, DFS and CAG will deliver a World First Exclusive to Changi Airport – the Raffles Long Bar experience at Terminal 3. Creating an entirely unique and exciting experience for travellers, the Long Bar will play host to regular Mix-it-Bar Events, as well as events featuring Raffles Doormen and Raffles Bartenders. Exclusive, ready-to-serve products including the “Singapore Sling” will also be available. In addition to the Long Bar, a Raffles Gifts Shop concept will also be established in T3. 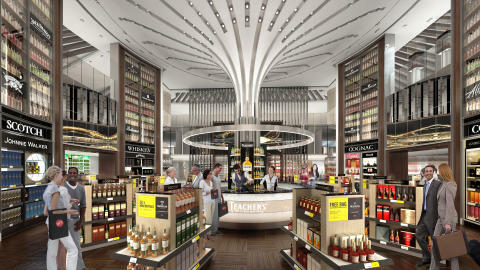 At Changi, DFS will also feature Asia’s largest assortment of single malt scotch in an airport, as well as an unrivalled selection of wine from key regions all around the world. DFS’ unique “Reserve” Wine Library concept will feature wine events and appearances from brand ambassadors and winemakers from leading producers, and offer customers top vintage wines through the Cellar Masters Guarantee, a unique concept that allows for DFS to control direct shipment from chateau cellars to DFS stores worldwide, offering customers the opportunity to shop direct from cellar library stock. DFS will introduce its first airport exclusive member’s lounge at Changi for VIP customers. New technology-based services will be offered as well, including self-service technology and the ability to pre-order products online or when they are departing. Renovations across all terminals are expected to be completed in 2016. DFS Singapore has received numerous awards and accolades. Topping the Singapore Retail Index for the past 5 years, DFS is especially proud of our track record at Changi as the world’s most awarded Spirits, Wine and Tobacco business, including being named the Best Liquor Store by the Moodie Report from 2011 – 2012, as well as securing the Best Liquor Travel Retailer for Asia Pacific by DFNI in 2011. In addition, DFS Singapore has also been recognized for its excellence in people development, and was awarded the Singapore Service Medallion Commendation Award for Best People Practices by SPRING Singapore, as well as the Best in Overall Performance, Liquor and Tobacco 2012, including Best in Class in Business Relationship & Support, Personnel/Organization, Category/Business Development by the Advantage Report Annual Survey of Top 15 Global Travel Retail Operators. As the world's fifth busiest airport for international traffic, Changi Airport is a major air hub in Asia. It handled more than 53 million passenger movements in 2013, serving about 100 airlines flying to more than 280 cities worldwide. 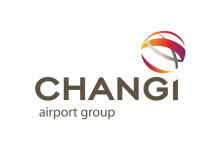 Changi Airport is the world's most awarded airport, with more than 460 accolades under its belt – the latest being the World’s Best Airport 2014 by Skytrax, a title Changi has secured for the fifth time. With over 70,000 sqm of retail space across its current three terminals, Changi Airport is known for being a paradise for shopping and dining, for both travellers and Singaporeans.